Google on Monday dedicated its creative doodle to mark the 148th birth anniversary of the father of Indian Cinema Dhundiraj Govind Phalke, popularly known as Dadasaheb Phalke. Born on April 30, 1870, in Trimbak, Phalke gave Indian Cinema its first silent film, 'Raja Harishchandra' in 1913 with special effects, making it a huge hit. He made 95 movies and 27 short films in his career spanning 19 years, till 1937. 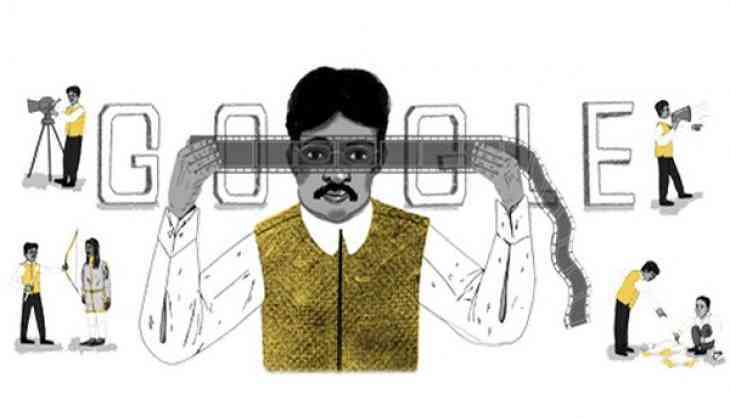 "Created by guest artist Aleesha Nandhra, doodle shows a young Dadasaheb in action as he went about directing the first few gems in the history of Indian cinema," wrote the Google blog post. "After stints as a painter, draftsman, theatrical set designer, and lithographer, he chanced upon Alice Guy's silent film, The Life of Christ (1910). Phalke resolved to bring Indian culture to the silver screen. He traveled to London to learn filmmaking from Cecil Hepworth," it added. The Dadasaheb Phalke Award, for lifetime contribution to cinema, was established by the Government of India in 1969. The award is considered as one of the most prestigious awards in Indian cinema.